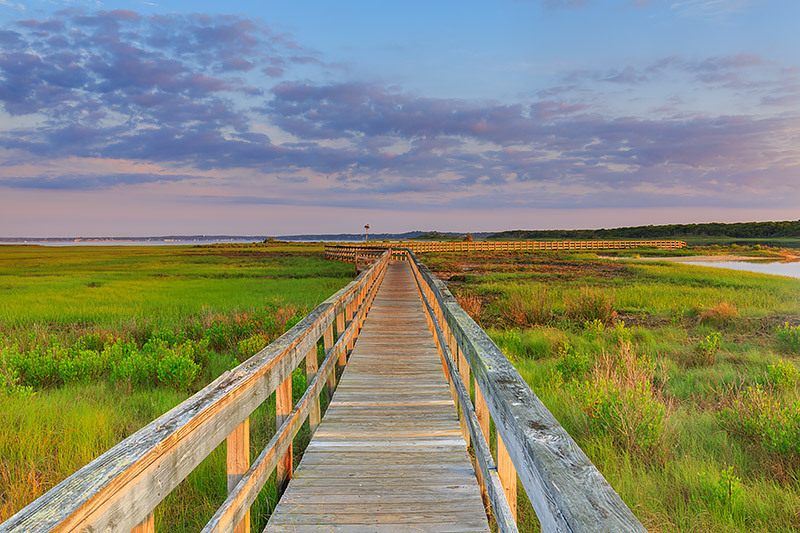 The first rays of sunlight illuminate Shinnecock Bay and the marshlands along the shore. It's a great morning for a stroll along the water as the clouds take on the hue of the rising sun. Photo © copyright by Thomas Mangan.